Something Old, Something New, Something Borrowed, Something Blue – Meghan Markle had it all covered! 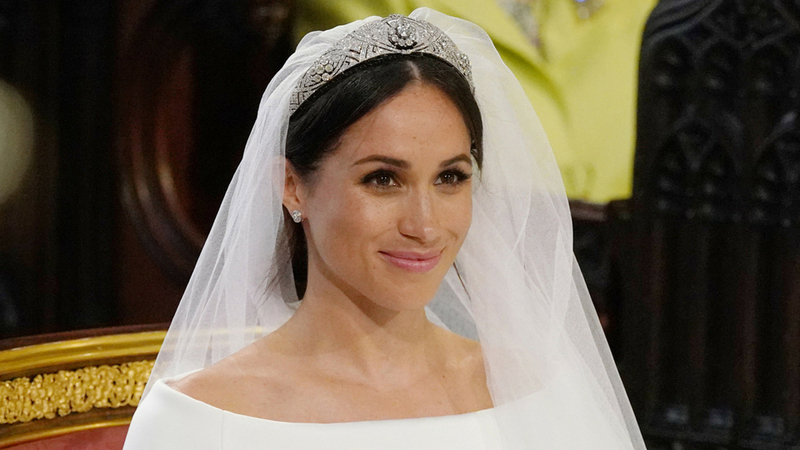 Something old (and borrowed) was Meghan’s magnificent platinum and diamond tiara. It was made for Queen Mary in 1932 and lent to Meghan by the Queen. The centerpiece was a removable diamond brooch dating from 1893. Somethings new (yes, plural) were the elegant diamond and white gold Cartier studs and Cartier diamond bracelet. Also new, was the plain Welsh gold wedding band, where Meghan stuck to history – a wedding tradition passed down through several generations of British royalty, going back to the Queen Mother. Prince Harry capped off the day with a tearjerker gift for his bride – a stunning blue aquamarine ring, one with extra special meaning, as it belonged to his mother, Princess Diana! From Meghan’s understated dress and jewellery, the newest royal showed us that beauty can be simple, classic and classy!